Long before ammunition factories churned out bullets using sophisticated automated technology, the weapons industry in the U.S. relied on shot towers like this one. Built in Philadelphia in 1808, the Sparks family kept it running for four generations. In its day, the Sparks tower revolutionized the production of ammunition. 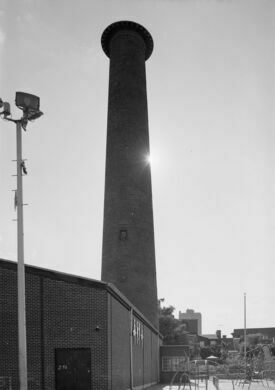 The tall, chimney-like shot tower can still be seen from the I-95 highway, remarkable for a structure erected in 1808. Before shot towers, lead bullets for musket guns were made using special molds. 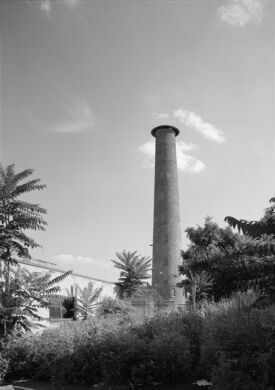 The shot tower, using a very simple idea, replaced this painstaking method. You would simply drop molten lead from the top of the tower into a pool of water below. The instant cooling would transform the molten lead into bullets. This sped up the process of producing ammunition enormously. The Sparks tower was an important processing site during the war of 1812 and the Civil War. 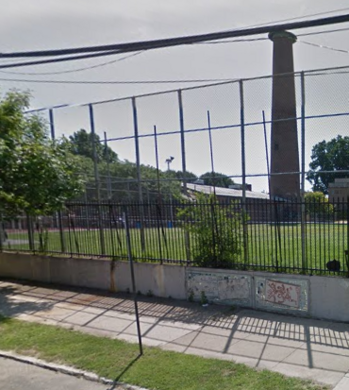 Thomas Sparks, a plumber, built the 140-ft high brick tower, which today stands in a city playground. Located behind the Tower Recreational Center.